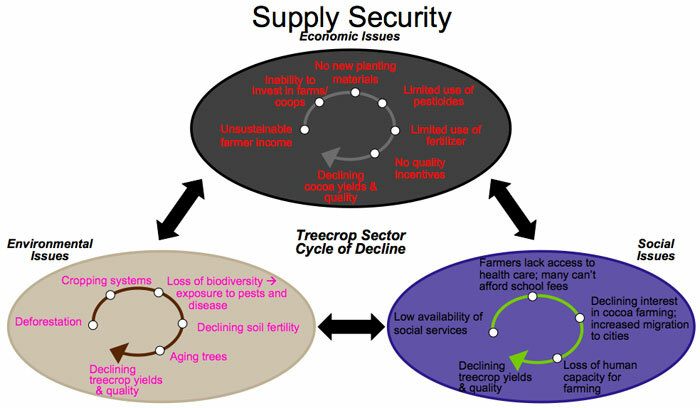 Anxious about socio-political troubles in major cocoa producing countries that pose a security threat to future supplies? The kind which lead to vulnerable consumer stockpiles? Or malignancies & pests that kill cacáo trees? And an aging population of planters who are dying off too? No worries, mate… how’s disease-free cacáo on estates with designer layouts, situated within possibly the oldest rainforest on Earth? 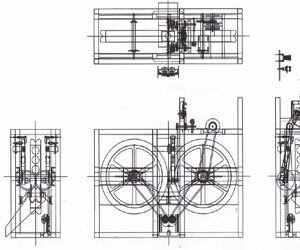 Add in superior harvesting management; fertigation (fertilizing while irrigating); & patented mechanical pod-splitters, plus seed-extraction units to cycle around the competition? Welcome to the new breed of cacáo, Down Under. Both a country & a continent, Australia’s promising developments in boutique chocolate contain the seeds that could modernize the entire industry. 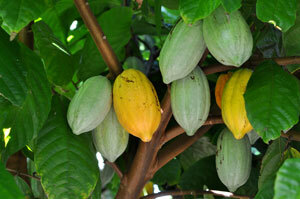 Concerns over future cocoa production led Cadbury’s Chocolate in the late 1990s to come up with a wild idea for what had never been attempted before: grow cacáo in Australia as a possible safeguard to Africa & Indonesia – 2 of the worlds largest producers where graft, corruption, & substandard agribiz jeopardize the company’s supply lines. The challenges of cultivating cacáo anywhere are manifold, & even more so in Australia. It shares with Bolivia the distinction of sitting among the southern extremity of the equatorial “20/20 Belt” around which cacáo can only grow. And with Hawai’i — at the northern extreme — it shares an equally difficult climate that can be colder & windier than the norm, often necessitating bacterium to inoculate the ferment cycle & cauldrons for drying the seeds amidst volcanic soils. Exorbitant land values & high labor costs further exacerbate Australia’s situation that are the exact opposite of practically everywhere else cacáo is planted in underdeveloped or emerging economies. This forced Cadbury’s to look at the whole process thru a fresh set of eyes & investigate aspects that had either been ignored or previously abandoned. Together with the Rural Industries Research & Development Corporation (RIRDC) of the Australia Government, they funded a broad scope R&D project. The outcome was a report by Yan Diczbalis, Craig Lemin, Nick Richards & Chris Wicks. They clearly did their homework. It just might be the most advanced systematic feasibility study yet & contender for the most comprehensive trial of introducing cacáo into virgin territory. Their conclusion: yes, it’s viable given technological innovation. And, in their judgment, cacáo could be well-suited to Western management systems. Successful cocoa production by smallholders, which typifies cocoa grown almost everywhere, is attributed to individualized tree management & close attention to traditional fermentation / drying (since they really are a continuum) — even the small pile method covered with leaves, followed by sun-dried beans. These have translated poorly however to large-scale planting operations, which fail to offer the advantages of other crops grown under similarly large, tightly managed systems (bananas to cite but one success). Production based on medium-sized plantings & a skilled workforce of highly motivated / educated grower-owners may well offer the advantages of both the smallholder & large-scale models while avoiding their respective pitfalls. Places such as Australia & Hawai’i, with their homegrown environmental movements, also present the opportunity for ‘clean ‘n green’ chocolate versus the current crop of countries that pour agri-chemicals, pesticides & more over the landscape. With a wind of optimism at their back, the team headed by Yan Diczbalis deemed that of the 3 regions in which they conducted extensive trials, one — North Queensland – fared the best. 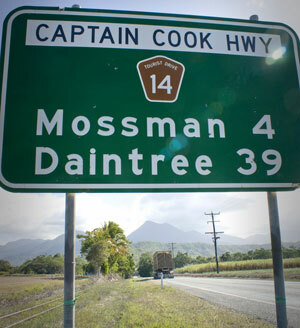 They pinpointed 35 hectares around Mossman Gorge in far northern Queenslands whose environs offer suitable conditions. The soil there belongs to the Mission series (red massive earth formed on alluvial fans) with reddish-brown, loamy fine-sand ‘A’ horizon. Into that soil growers transplanted the SG2 hybrid, the most widely harvested cultivar in Papua New Guinea — situated right across the Coral Sea in the South Pacific. SG2 was originally released as a poly-cross of 15 different hybrids. In 1994, it was modified down to 10 crosses (in 2 groups of 5 crosses each) based on their potential for adaptability & vigor. A sound selection considering the challenges Australia faces. The hybrids have Upper Amazonian female parents (Indonesian KEE5, KEE12, KEE23, KEE43) & local Trinitario clones K82 & KA2-106 for males. With seeds in place, researchers went about measuring mean annual rainfall. In Queensland it’s nearly ideal. However, its distribution is seasonal & in many months evaporation exceeds rainfall; hence, irrigation. Aussies turn this to their advantage by utilizing an underground sprinkler system that simultaneously adds fertilizer to the mix (fertigation), a technology both less labor-intensive & less machine-dependent than conventional soluble fertilization methods. This advance spurred further urges to control the entire production chain. From water flow rates, tree density / row planting configurations, varietal seed types, soil nutrients, tree management (pruning, shaping, shade canopy, weed removal), mechanical pod-splitters with an hourly rate of what a manual-laborer does in a day, seed-extraction machinery (more productivity gains + no more hand-scooping); to experimenting with flora for starter yeast & bacteria that adjust fermentation for consistent & perhaps even standardized flavor (whatever the vintage & vagaries); & heated rooms to simulate perfect temperature / humidity settings for the crucial fermentation-drying using stainless-steel ferment barrels. In every incremental step — each as important as the next in optimizing cacáo for world-class chocolate — the Australians conducted rigorous trials. To complete an all-encompassing model, enterprises here build upon value-added profits thru local grindings to meet domestic demand, with any surplus headed overseas to the export market. In another home field advantage, additional cost efficiencies are realized by investing in cocoa processing facilities connected to local sugar mills (sugar being cocoa’s main sweetener / flavor catalyst), effectively constellating a chocolate cluster zone. This business structure vertically-integrates planting, producing, processing, & packaging to capture the full value of chocolate sold – a competitive advantage wherever & in whatever field it occurs. Daintree Estates Chocolate illustrates this model at work. A consortium of sugarcane landowners in the heart of pristine Daintree – home of the aboriginal dreamtimers the Kuku Yalanji people — the Estates operate in a vitally important biodiversity hotspot: a lush rainforest in formation for some 110 to 140 million years, making it possibly the oldest on Earth. Whatever its precise age, this ancient ecosystem houses a record of our planet’s evolutionary history. Commercial cacáo planting began in the relatively recent past, 2006, in the wake of a sugar price drop on the commodity markets that saw some growers cashing out, selling land to housing developers for tract homes (the stuff of subprime mortgages). Those who remained behind diversified in order to survive. So instead of relying on just one crop – sugar – they added cocoa to the mix, a natural ally to fend off real-estate encroachment & help defend their eco-setting. 5 years later, these estates yielded some excellent quality produce. Growers in Daintree are not only exclusive suppliers, they’re also shareholders & board members, including a pastry chef trained in the chocolate arts under Belgium, Swiss & German tutelage & whose business, as he likes to say, is now in his own backyard. This brings private property, capitalism & chocolate together in a close co-operative venture. It rekindles some of the spirit that guided chocolate pioneers during the 18th century who laid the foundation for its eventual rise to a global phenomenon. 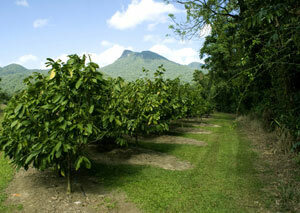 Daintree both cultivates Australian-grown cocoa & manufactures Australian-origin chocolate. With the launch of its line, featuring a range of single-estate chocolates of vintage harvest, & co-manufactured with Mossman Central Mill’s raw sugar, it signals a more defined approach to the chocolate experience. Thoroughly Bud-to-Bud™ — cacáo flower-buds to your taste-buds — by handling every link in the value chain ala ‘ombudsmen’ Claudio Corallo, François Pralus, & Danielo Vestri among others. Not to be outdone, Innisfail directly to the south of Daintree, boasts 8 hectares owned by Noel Stevenson. There he husbands cacáo among a grove of papaya & bananas. Noel is taking grand cru to the next level: beyond estate grade… chocolate crafted from his seeds are tagged & traceable to the individual tree! Unheard of for an industry that typically throws together beans from different farms, different regions, even different countries in the tropics & bundles them into sacks for shipment around the world. 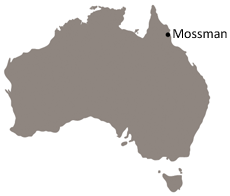 Australia’s bet looks thus: economically viable cacáo based on technological innovation / reduced production costs from mechanization, high yields using super seeds / speed breeding, & the all-important ‘quality’. Its outlook improves if the premium market for brand-differentiated origin-cacáo & cultivars – a core mission of the C-spot™– explodes beyond its current niche. Having re-seeded their fields, the theobromans / cacáo-tenders in Queensland, wizened by years of raising sugarcane in an area once known for the notorious Blackbirding Trade that impressed aborigines & neighboring Pacific islanders into indentured servitude for those harvests, are now on the right track. A prototype for sure, strictly under development, with this caveat: taste like this rarely lies, so before laughing it off as some kind of ‘kangaroo-chocolate’, remember Aussie beer, wine, & olive oil were once looked down upon too.